Wisdom teeth, or third molars, are the last teeth to develop and appear in your mouth. 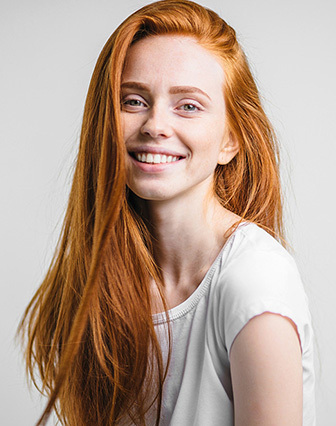 They come in between the ages of 17 and 25, a time of life that has been called the “Age of Wisdom.” Our practice specializes in the removal of wisdom teeth in Kingston, NY. Dr. Matthew Hilmi has successfully removed thousands of complex wisdom teeth during his many years of practice in Kingston, NY. What is an impacted third molar? When a tooth is unable to fully enter the mouth, it is said to be “impacted.” In general, impacted teeth are unable to break through the gums because there is not enough room. Nine out of ten people have at least one impacted wisdom tooth. If left in the mouth, impacted wisdom teeth may damage neighboring teeth, or become infected. Because the third molar area of the mouth is difficult to clean, it is a site that invites the bacteria that leads to gum disease. Furthermore, oral bacteria may travel from your mouth through the bloodstream, where it may lead to possible systemic infections and illnesses that affect the heart, kidneys, and other organs. Research has shown that once periodontal disease is established in the third molar areas, the problem is persistent and progressive, but may improve the following extraction of the teeth. In some cases, a fluid-filled cyst or tumor may form around the base of the untreated wisdom tooth. As the cyst grows, it may lead to more serious problems as it hollows out the jaw and damages surrounding nerves, teeth, and other structures. Many people believe that as long as they are not in pain, they do not have to worry about their wisdom teeth. However, pain free does not mean disease or problem free. In fact, wisdom teeth that come in normally may still be prone to disease, according to a study by the American Association of Oral and Maxillofacial Surgeons and the Oral and Maxillofacial Surgery Foundation. AAOMS strongly recommends that third molars be evaluated by an oral and maxillofacial surgeon by the time a patient is a young adult in order to assess the presence of third molars, disease status, and to suggest management options ranging from removal to a monitored retention plan to ensure optimal patient-specific outcomes. Wisdom teeth that are completely erupted and functional, painless, cavity-free, in a hygienic environment with healthy gum tissue, and are disease-free may not require extraction. They do, however, require regular, professional cleaning, annual checkups, and periodic radiographs to monitor for any changes. Wisdom teeth are easier to remove when the patient is younger since their roots are not completely formed, the surrounding bone is softer, and there is less chance of damaging nearby nerves or other structures. Removal of wisdom teeth at a later age becomes more complicated as the roots have fully developed (may involve the nerve), and the jawbone is denser. If your dentist or healthcare professional recommends that your wisdom teeth be removed, you will most likely be referred to an oral and maxillofacial surgeon for the procedure. Before surgery, your oral surgeon will discuss the procedure with you and tell you what to expect. This is a good time to ask questions. Also, talk to your surgeon about any concerns you have. Be sure to let your doctor know about any illness you have and medications you are taking. There are several conditions that affect how easy it will be to remove a wisdom tooth. These conditions include how the tooth is positioned and the stage of root development. If the wisdom teeth are impacted, the surgery might be more complicated. Most of the time, third molars can be removed with little or no pain. Usually, they can be extracted at the oral and maxillofacial surgery office. Patients are given either local anesthesia, intravenous sedation, or general anesthesia. Your surgeon will recommend the anesthetic option that is right for you. I.V. sedation options are available in Dr. Hilmi's office. If after discussing your situation with your family dentist or oral and maxillofacial surgeon, you decide to keep your wisdom teeth, be sure to take particular care in cleaning and flossing your teeth, especially the molars. Your third molars must be professionally examined regularly and X-rays of your wisdom teeth should be taken every year to make sure that the health of your teeth and gum tissue does not change. Make sure you always use an experienced oral and maxillofacial surgeon like Dr. Matthew Hilmi for this kind of surgery to minimize the damage caused to the surrounding area. If wisdom tooth surgery has been recommended by your dentist, you must be thoroughly informed of what will happen during the procedure. A complete explanation of post-surgical care should also be part of your overall treatment plan. Please ask questions. Second opinions are not uncommon.